WHEN Clinton Williams was driving home from school pick up this afternoon (Thursday) he saw smoke near his Grantham property and thought it was a little "too close" to home. 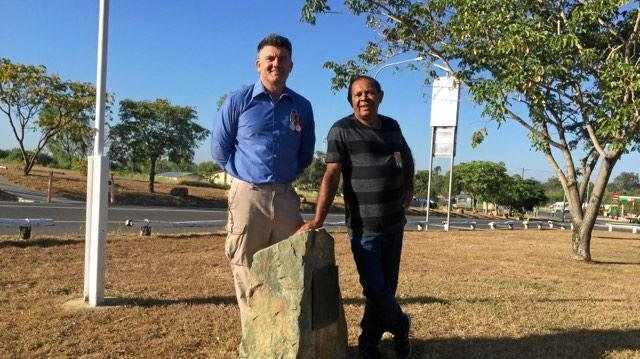 As he drove closer to the Warrego Highway overpass, Mr Williams noticed its proximity and raced home to grab a laptop with photos and the family dog. The fire came within 300 metres of the Williams' 100-acre hobby farm home. "I was quite terrified, we knew it was going to be a bad fire season," Mr Williams said. "We are in the process of building a fire trailer to look after the house and property, and my thought was 'I was a week away from it being finished'." Mr Williams said if the wind had increased he would have lost everything with the amount of dry timber in the paddocks. Grantham fire: Clinton Williams filmed this footage from his property of the Grantham fire. The Grantham fire was reported to emergency services at 1.34pm, with more than 16 crews working to extinguish the blaze along with two aerial support appliances providing water bombing. 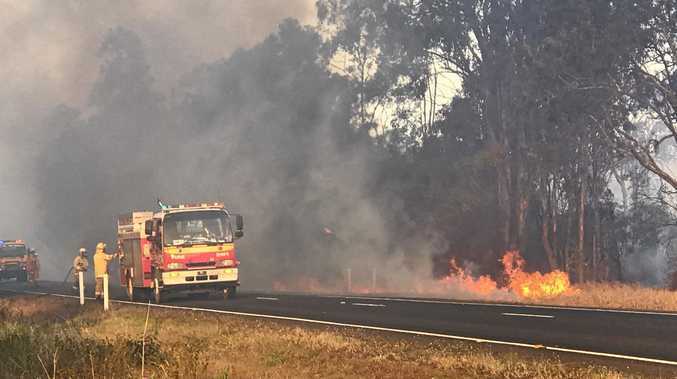 Burning through grassland, the fire jumped the Warrego Hwy, which resulted in both lanes of traffic being closed. A watch-and-act alert was issued by Queensland Fire and Emergency Services at 3.56pm. 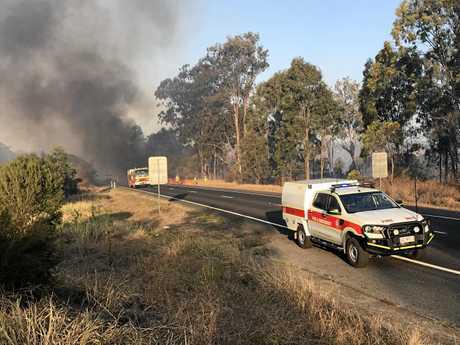 At 6pm it was downgraded to alert and the east-bound lanes of the Warrego Hwy were re-opened. But Mr Williams had nothing but praise for the emergency services that battled the fire. "The firefighters did a really good job, there was so many of them," Mr Williams said. "So many of those guys are volunteers and they just get out there and help."